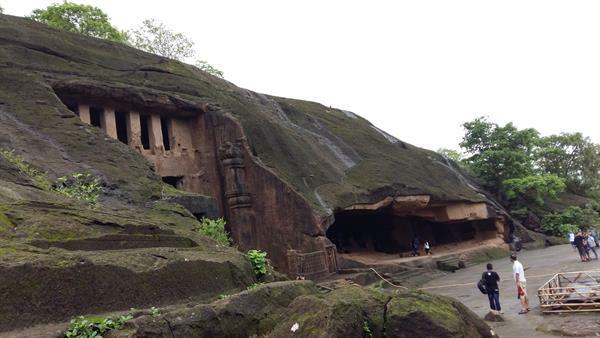 Interested in visiting some Buddhist caves within the perimeter of Mumbai? Want to enjoy the waterfalls in the rains? Searching for a suitable picnic spot? Then have no worries, you will find Kanheri Caves Mumbai an interesting and awesome destination most suitable for a one day trip. If you want to walk or jog or run or trek or get wet in the rains or enjoy the Buddhist shrines then these caves are inviting you. Read my travelogue and also Kanheri caves information. Deep inside the Sanjay Gandhi National Park is the highest peak called the Kanheri caves in Mumbai which comprises of ancient Buddhist caves. It is maintained by Archaeological Survey of India. The caves experience heavy footfall of the locals and also foreign tourists, especially on weekends. Do you want to know why? Read this article to know more about this place and understand why it is one of the most famous attractions in Mumbai. Kanheri Caves is located on the western outskirts of Mumbai, the capital of Maharashtra and on the island of Salsette). In the western direction is Borivli railway station and across the creek is the Arabian Sea. 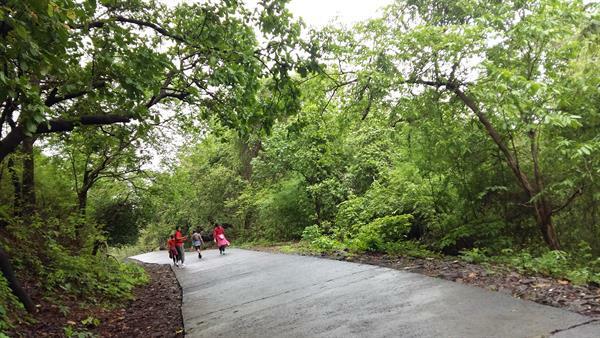 The caves are in the forests of the Sanjay Gandhi National Park- SGNP and at a distance of 6 km from the main gate and 7 km from Borivali Station. 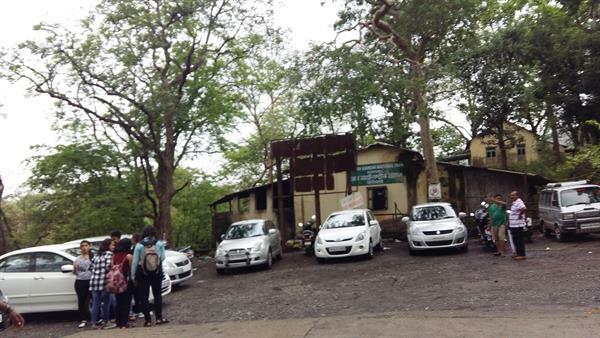 The caves are reachable from all parts of Mumbai through the Western Express Highway at the SGNP entrance. 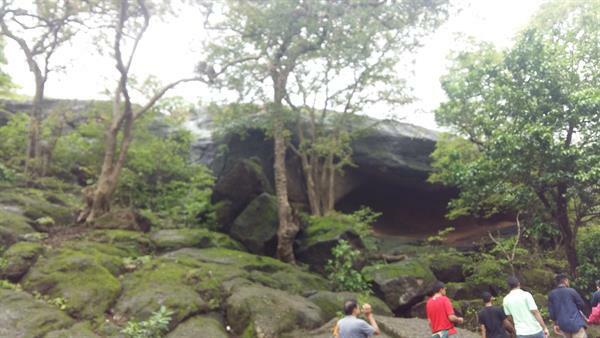 The Caves are easily reachable from Western suburbs of Mumbai. You can get off at Borivli Railway station and take a bus to the end point. The BEST buses have a good frequency. Or take an auto rickshaw to SGNP and then trek to the caves. Alternatively you can go by your own vehicle: two wheeler or four wheeler to the Caves. There is ample parking space at the caves base. From the base you need to climb stone steps to visit the various caves. 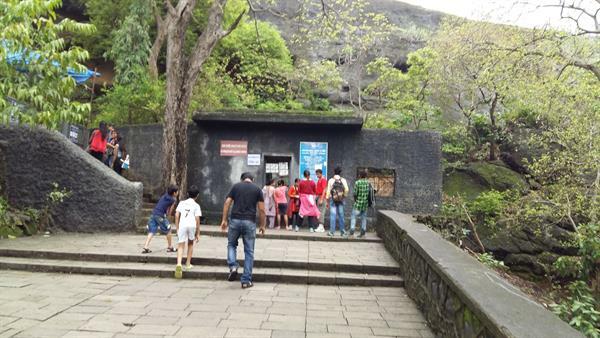 Entry fees need to be paid at SGNP and the Kanheri Caves entrance. 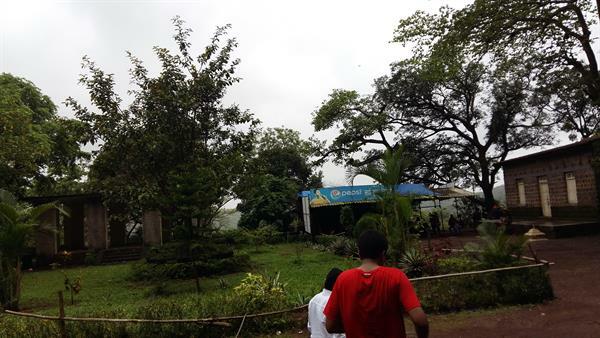 Tourists can enter SGNP between 7:30 am to 5 pm while the park is open for pass holders from 6.30 pm onwards. 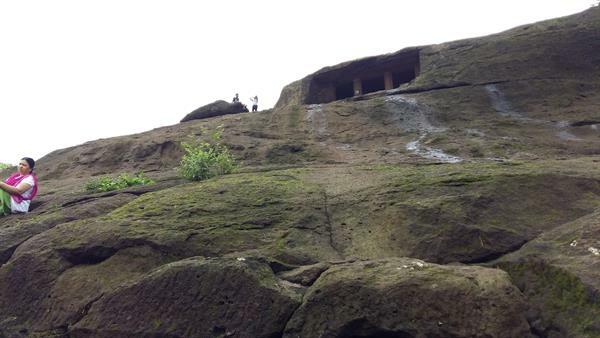 The Kanheri caves can be visited between 9 am to 12.30 pm and 2 pm to 5.30 pm. You need to purchase tickets at the SGNP entrance for per persons and for vehicle and at the Caves entrance for per persons. The tickets at both entrances are reasonably priced. If you are a photography freak, then cameras are charged extra. The caves can be visited all through the year. However, rains are the best time, if you are comfortable getting wet. The caves look more beautiful a few weeks after the first heavy showers. If you happen to visit the caves in the summers, then the early morning is preferable. You will not get the heat and will not feel tired. First, a brief history of the caves, which will be an eye opener for you! 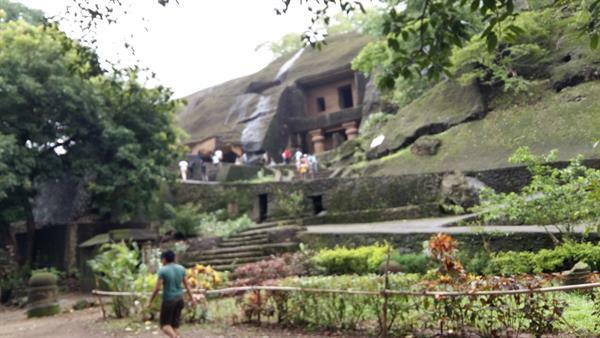 The Kanheri caves in Mumbai were constructed in the years Before Christ (BC) to serve as Buddhist centers of education. Did you know that these caves are around 2000 years old? 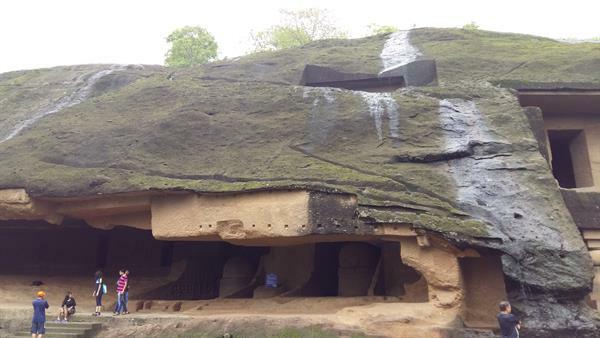 These caves comprises of ancient temple cut from rock, Buddhist shrines, paintings of Buddha in the 209 caves. The word Kanheri was evolved from the word Krishnagiri which means a volcanic rock or a black mountain. Significance: The Caves were a University center where Buddhist monks used to deliver lectures on religious texts and basic moral values that one should follow. These caves were connected with several trade centers in the vicinity like Sopara, Kalyan, Nasik, Paithan and even as far as Ujjain. Excavation: The caves were excavated way back in mid 3rd century B.C. and were occupied till 11th century A.D. During the 16th century Portuguese and various European travellers have mentioned these caves. Subsequently they were again discovered by the Portuguese in 1975, post-independence. Culture: The caves have been strongly influenced by the Buddhist art and culture. The Caves was a very well organised set up of the Buddhist monks under strict discipline. The monks led a very simple life which according to them was necessary for attaining salvation. Kanheri was well known for literary activities in the early days. But today these caves, attract people for its historical importance and solitude nature apart from the waterfalls which enhance the beauty of the caves in the rains. Viharas: The cave has extremely simple chambers which are called the Viharas. These were meant for living, studying, and meditating. The viharas had stone plinth for a bed. Chaityagrahas: The caves which were larger in size as compared to the Viharas were called the Chaityagrahas and were used for congregational worship. They are rectangular halls with apsidal back, a verandah or a front porch and a large court in front. These caves are decorated with stone pillars which contain a stupa and a Buddhist shrine having intricate reliefs of Buddha and the Bodhisattvas. Each chaityagraha has a row of 34 pillars which divides the graha into a central nave and adjoining corridors. The pillars have no symmetry and are of different shapes and styles. The hall has three doors and a chaitya window which provides some light into the chaitya. You take a walk into the hall and watch the sidewalls sculpted with large images of Buddha in varada mudra and other Boddhisattava images. A small canteen serves tea, coffee, cold drinks, dry snacks and typical Maharashtrian vada pav and missal pav. These two Maharashtrian delicacies are lip smacking. We had both these delicacies today and they were not oily, not spicy and really tasty. Drinking water and rest room facility is available at the base of the caves. BEST buses are periodically available to reach SGNP or Borivli station. There are security personnel near the caves, not many though lest someone needs help. For the history lovers: The Caves is an ideal place to appreciate Buddhist culture of the BC era. The caves are reachable by steps and are cut into the mountains at various levels. 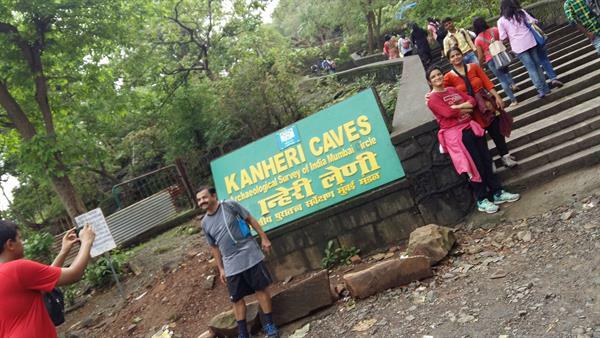 For trekkers: You can enjoy the climb onto the caves or even walk all the way from the SGNP entrance gate. We took a 7 kms walk one way from the SGNP entrance. The view is beautiful, with waterfalls along the way, lush green forests. If you love to walk among the trees or are preparing for the Marathon then this is one apt place to be in! 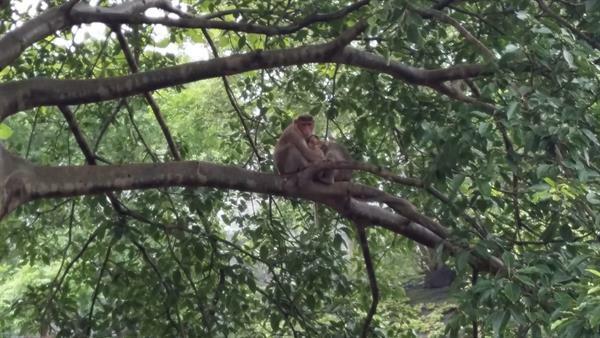 For the nature lovers: The green and serene atmosphere amidst the chirping of the birds and the chattering of the monkeys are truly breathtaking. For those who enjoy the rains: Once you get heavy showers for a week or so, the caves are transformed into a haven of small rivulets and waterfalls. The rain waters flows from adjacent mountains and from a height onto the stones and collects in small ponds and then falls down the cliff. These small ponds are filled with locals enjoying a dip in the water or a back massage. People of all ages flock to Kanheri Caves in the rains. Overall: a one-day picnic to the Kanheri Caves is an awesome experience and if you visit then memories will be etched in your heart forever! This is the best review that I have read about Kanheri Caves in Mumbai...and with the most accurate information. I am glad you appreciate it. Do share on social media for the benefit of others. Hi there, first of all, this blog is huh huh...AMAZING.....! I had a couple of questions actually. The first being, whether it is safe enough for taking my girlfriend there along with me and the second is do we have to pay at both the entrances i.e. SGNP and KC?